If you are on a gluten-free diet, then you know the benefits that this dietary change can have on your body. The people that benefit most from gluten-free eating are those with celiac disease, however, even if you don’t have the disease, removing gluten can sometimes improve digestion or reduce signs of autism in children. In addition, some people also lose weight thanks to a reduction of carbohydrates, which often contain gluten. And while some people think gluten-free diets are just a fad, literally millions of people eat this way, and the trend shows no sign of ending. Of course, anyone on a special diet knows the challenges that come with trying to eat right when you are away from home. The good news is that cruise lines are used to seeing passengers with an assortment of dietary restrictions — from vegetarian to vegan to paleo to keto to gluten-free. And since the cruise lines are in the business of making passengers happy, they have gone out of their way to accommodate these special requests. Is It Possible to Eat Gluten-Free While Cruising? Yes. Cruise lines are used to seeing seeing passengers with gluten-free diets and can accommodate you. That’s not to say that it doesn’t take any work — just like at home. You’ll have two areas where you will need to take action to ensure that you can stick to your diet. The first is the main dining room and the second is other eateries aboard the ship. Starting with the main dining room, you will want to visit before your first meal to discuss your options. In addition, if you eat at other “sit down” restaurants on the ship where your specific meal is made to order, you will want to let the staff know about your diet restrictions as soon as possible. In other words, the cruise line is happy to serve you gluten-free options, they just need to know that you require it. An even better idea is to call your cruise line a couple of weeks before your cruise and let them know you require a gluten-free diet. They will be able to make a note in your account and make any preparations on their end to ensure they can meet your needs. You will still want to talk to the dining staff once aboard, but this extra step should ensure there are no surprises for the staff. The main dining room can make arrangements for you to eat gluten-free on your cruise. However, if you plan to eat at a restaurant on the ship where the food isn’t made to order — such as the buffet or “grab and go” eateries — then you will need to take charge of your diet. The good news is that you have a lot of options on a cruise. For example, the buffet has dozens of options, many of which are gluten-free. However, you are likely to encounter a number of items with gluten and not many gluten-free alternatives. So if you eat breakfast in the buffet and hope to get gluten-free pancakes, you may be out of luck. You can try eating breakfast in the main dining room, instead, where your breakfast can be made to order. The earlier that a cruise line knows you have dietary restrictions, the sooner they can start making arrangements to help you eat gluten-free. 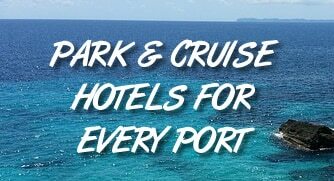 As well, a quick phone call to the cruise line can give you specifics on exactly what your options are on a trip. The representative should know what the ship can do to help you follow your diet and also make notes in your account for the waitstaff. Not every meal you eat will be in a dining room aboard your cruise. That said, the more you eat “made-to-order” food, the more options are you likely to have. When you order a specific dish, the chefs can prepare it according to your tastes and diet instead of having to prepare for hundreds of other passengers. You will still find options in other eateries on the ship, but the sit-down meals are most likely to accommodate you. Don’t be shy about asking for what you want or asking questions if a food is gluten free. Often — even at “grab and go” eateries on the ship, they will be able to offer an option or point you toward foods that meet your diet. Keep in mind that making things special request might require a little more time, but that’s a small price to pay for keeping on your diet.